Not just a respectful kinship with the Earth - a stubborn romance with health. Here at Rush Bowls our tireless devotion to honest, healthy ingredients crafted in ways that taste sinfully delicious, result in the best fruit and all-natural food bowls available. Anywhere. Period. Some call it an obsession of ours, we call it passion. Rush Bowls was launched in 2004, when founder, Andrew Pudalov, decided to leave the hustle and bustle of New York’s financial scene to pursue his dream of creating a healthy, fast-dining restaurant that fueled people’s lives with honest ingredients and delicious recipes. 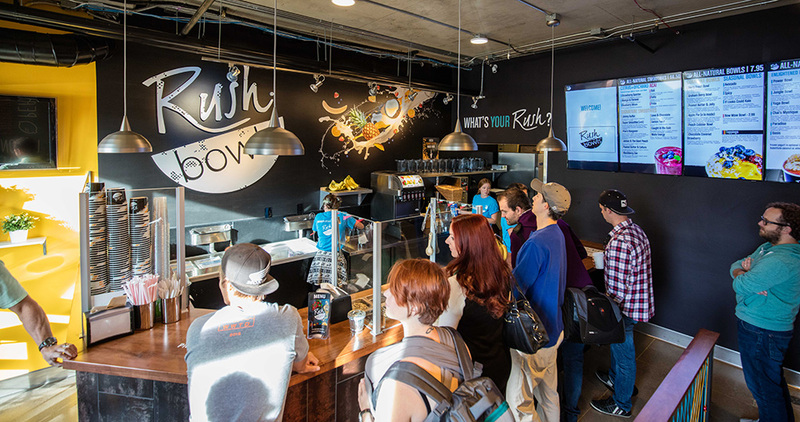 As a result, Rush Bowls was born in Boulder, Colorado, offering meals crafted from the finest fruit, topped with granola & honey, and blended with protein, vitamins and other nutritious ingredients that taste delicious while promoting a healthy lifestyle. Our commitment to health goes beyond our customers and extends to the communities we serve. We feel that, in numbers, a little effort can go a long way. Here are some great organizations we support, please take a moment to see the good work they do to better the lives of our neighbors in need. As we continue to expand nation-wide, we welcome suggestions of great local charities who operate in the communities we serve, so please feel free to promote your favorite charity below.